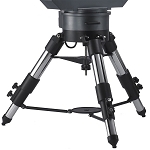 The Takahashi TMT0003 Tripod was designed with the Takahashi EM-400 mount in mind. 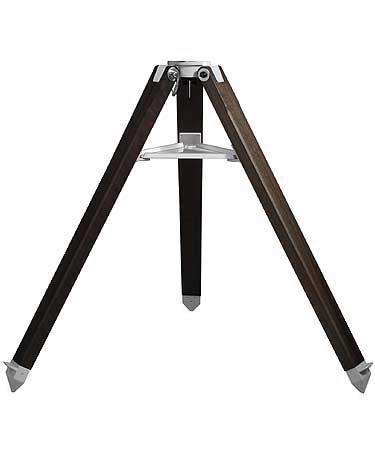 This beefy metal tripod holds up to a half a ton! Superbly crafted by Takahashi engineers for lasting quality and fashioned to take on your most demanding applications, you'll find the adjustable height requirements fit right in the 31.5" and 44.5" range that suits your needs. 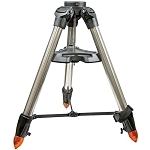 This is a tripod that won't drop a leg on you unexpectedly... or lose a bolt in the field. It's well-built and ready to tackle your toughest tasks. Despite it's rugged construction, the Takahashi TMT0003 Tripod comes in at a lightweight 34 lbs, but can still carry a payload of 1000 pounds! That's some portable power... 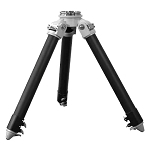 The attractive black and aluminum finish rounds off the pefect tripod to go with your Takahashi gear!